After her Red Shoes album in 1993 – her seventh album in the 15 years since her debut The Kick Inside – Kate Bush did what she always seemed to do between albums, disappear. As with Scott Walker and others, Bush is not the recluse which she is painted but just someone who doesn't much care for public attention when there is no work to promote or discuss. But this hiatus would be much longer than anyone expected, a full 12 years before she reappeared with an album and when it came it would be a double: Aerial. She wasn't just busy writing in that long time away: she married and had a son, and by the few accounts which came out was very happy with domestic life. As she had always been. “For the last 12 years,” she told Mojo in a rare interview at the time, “I've felt really privileged to live be living such a normal life. It's so a part of who I am. It's so important to me to do the washing, do the hoovering. I don't ever want to lose contact with that. In that interview Mojo duly noted that she hates interviews and hadn't done one for four years when she accepted an award, and the previous one had been seven years before that. At the time of this double album's release Bush was a 47-year old married mother with a seven-year old son and, as she perhaps always was, a solitary figure in a world which had been through Britpop, the rise of Bjork's art-pop, the Chemical Brothers and LCD Soundsystem, alt.county, Garth Brooks who had risen and fallen in the time she was away,. Careers had come and gone in her absence. Aerial came out when other artists of her era were delivering Greatest Hits or retrospectives (Eurythmics, Alanis, Destiny's Child, Melissa Etheridge). She'd already done that – twice – and Aerial was to be her major statement in the new century. And many parts of it reflect her domesticity, in a quietly magical way. 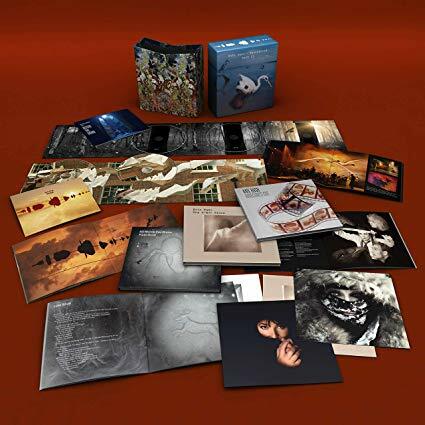 All the Kate Bush albums (and additional material) have been remastered and reissued as four boxes of vinyl – the first two discussed here and here – as well as two boxes on CD. So far we have made little comment on the sound of these albums remastered by herself with James Guthrie (Pink Floyd’s producer and engineer since 1978), but let it be noted they are crisp, clean and spacious. 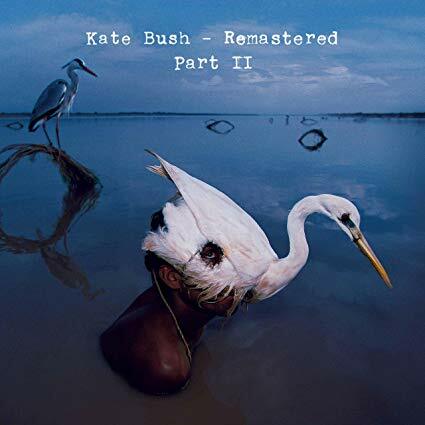 Bush had sometimes expressed frustration with the sound of her albums (which she mostly produced) and certainly The Dreaming, by way of example, comes out much more present and persuasive in the remastering. It is worth noting that despite the critical acclaim for her work, she inspired very few followers down her singular path. Much like her peer and sometimes inspiration Peter Gabriel, Bush's music is sui generis. Not exactly 15 years in the making but certainly a collection of songs she quietly picked away at over that time, while living that normal life she embraced. But for every washing machine (and the chorus of Mrs Bartolozzi chants those exact words) there is a skylark. It is also a game of two halves: the first disc is given the title A Sea of Honey, the second A Sky of Honey. Later on Bertie, with a kind of folk-madrigal musical setting, she offers a lyric of almost mundane simplicity, but which all parents of young children will understand: “Here comes the sunshine, here comes that son of mine, here comes the everything, here's a song and a song for him. Sweet kisses. Three wishes. 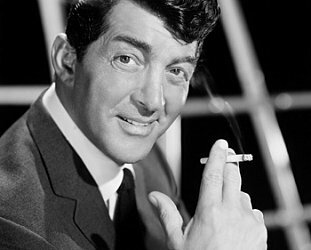 Lovely Bertie . . .” It is pretty and heartfelt but the weakest moment on the first disc. The domesticity is there too on the piano ballad Mrs Bartolozzi, a housewife wistfully nostalgic as she sees the clothes in the washing machine and on the line outside, a metaphor for love: “I watched them go 'round and 'round, my blouse wrapping itself in your trousers. Oh the waves are going out, my skirt floating up around my waist . . .” It is much better than that looks on the bare page. How to be Invisible (which is the title of her selected lyrics just published) is a terrific broody piece and, as with King of the Mountain – is a speculation on avoiding the spotlight: “I found a book on how to be invisible. Take a pinch of keyhole and fold yourself up. You cut along a dotted line, you think inside out. And you're invisible”. It's a real highpoint. A Coral Room at the end is a piano ballad about the death of her month, a reverie of images and memories (“I can hear her singing, 'Little brown jug don't I love thee'.”). As a series of discrete songs there is that thread of welcoming domesticity and home life, of the power of nostalgia and memory. It really is quite something. And not many people could so convincingly sing Pi to multiple decimal places (as does on π) . 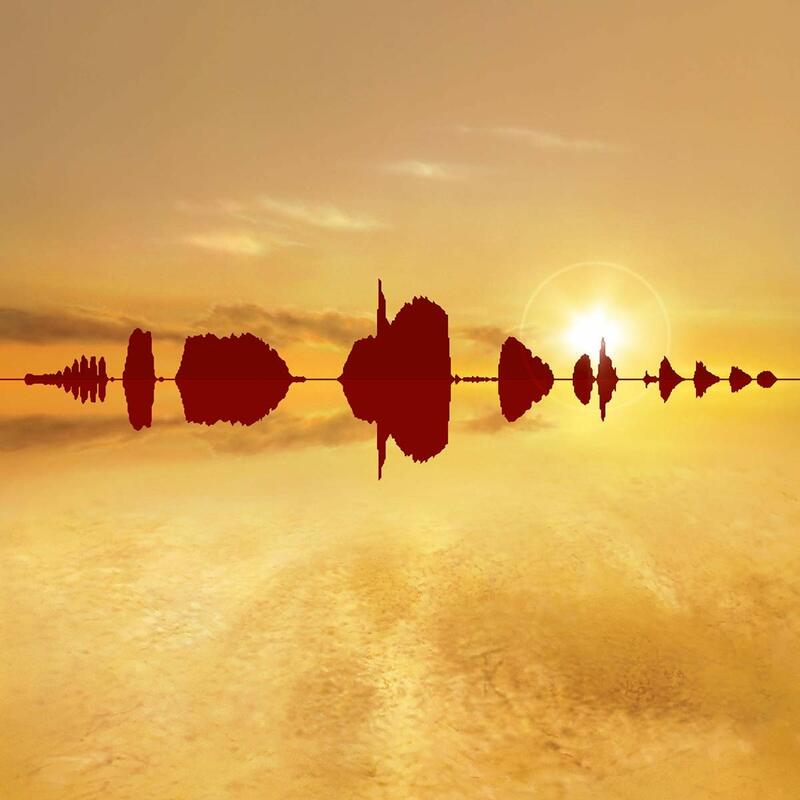 On The Sky of Honey disc the nine pieces start with a Prelude and Prologue (child's voice, the sound of doves) and as the pieces segue into each other an autumnal glow of light and colour predominate. It establishes an optimist tone (“it's going to be so good now, can you see the lark ascending?”, a reference to Vaughan Williams) and is very English pastoral, charting the course of a day. The Sky of Honey is a delightful song-cycle of 42 minutes. Rolf Harris was back again playing digeridu and doing some brief spoken word passages on The Painter but he has been excised and replaced by Bush's son Bertie in the new edition. Aerial was rapturously received by most critics and nominated for a Brit award, but American writers were less persuaded by its soft focus second disc. 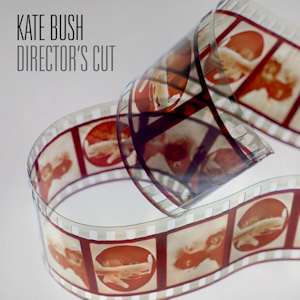 But although it isn't perfect it is doubtless her masterpiece, and few composers can move as effortlessly between genres (pastoral ballad to flamenco rhythms and orchestrated pop) as Kate Bush. When Mojo interviewed her and gently suggested she might not wait so long before releasing another album she laughed and said maybe she'd release two the following year. She was almost as good as her word. She did release two albums in one year . . . six years later. And when she did return after yet another absence (with another exclusive interview for Mojo), it was with this album which saw her revisit 11 earlier songs – four from The Sensual World, the rest from The Red Shoes – for which she re-recorded her vocals and often with different drum tracks. Three songs were rebuilt completely; This Woman's Work, Rubberband Girl and Moments of Pleasure. 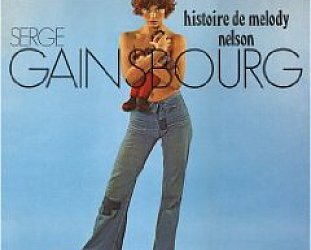 What might have seemed an indulgent folly actually made sense because Bush had always been critical of her past work to the point (she re-recorded her vocal on Wuthering Heights for the The Whole Story retrospective) of sometimes being embarrassed by a bad lyric or more particularly the sound on them. The production and sound of The Red Shoes was one which particularly irked her. The opening track is The Sensual World now re-titled Flower of the Mountain and as she originally conceived it after being given permission by James Joyce's estate to use Molly Bloom's words from Ulysses. It is now a much less strident and declamatory piece and the instrumentation is also stripped right back (no clattering Eighties drums) so the whole piece hums along hypnotically. At the other end of the spectrum is a casual revision of the quirky Rubberband Girl, again the synth drums disappear and her stacked up vocals on the original are gone to make it sound like a guitar rock demo of the song. Across these revisions – some of which are hardly major overhauls – Bush's lower register and the general softening of the songs makes them more intimate: Compare the original and new version of Song of Solomon for example. Although the reworked Lily sounds much deeper and downright funky, closer to Grace Jones (and Yoko Ono at one point) and The Red Shoes much more tribal. Now, seven years later, with the remastered reissue of Kate Bush's career on vinyl and CD that has happened. However The Director's Cut was no simple stop-gap to appease her patient following because six months later . . .
Aside from the stellar players – the great drummer Steve Gadd and bassists Danny Thompson or John Giblin -- holding this together discreetly, also featured are the voices of Elton John (Snowed in at Wheeler Street) and Stephen Fry as the silly Professor Joseph Yupik on the title track. Much of the album is given over to quiet and a sense of stillness, as befits the metaphors of snow, cold, loneliness and fragility, as well as a lake of haste. The gorgeous and discreetly orchestrated piano ballad Lake Tahoe runs to more than 11 leisurely and thoughtful minutes, Misty (about making and being loved by a snowman, better and more sensual than it sounds!) which follows is a full 13 and a half. Wild Man is an empathetic piece about the mystery of the yeti -- “the will hunt you down, they will kill you, the Lamas say you're not an animal”– and the backing vocals by Andy Fairweather-Low bring to mind Bowie. The closing ballad – just Bush at the piano – Among Angels carries these 60 minutes out on an elegant note, a graceful end to her most consistent and themed albums. It arrived in time for the northern Christmas and although not a “Christmas album” as such, it has a seasonal quality: the snow theme comes with emotional (and sexual) warmth to heat the soul. At 53, the voice that delivered Wuthering Heights a distant memory, Bush emerged here as a creator of mature art music with some jazz cadences brought out by Gadd's subtle undercurrents. 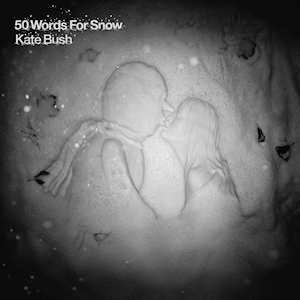 50 Words for Snow is one of these reissued albums where the remastering had brought out nuance and depth. It whetted the appetite for more from Kate Bush but, as of this reissue, she hasn't released another studio album. 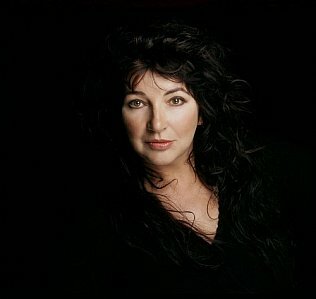 But then again, people who have followed the career of the remarkable Kate Bush have been used to waiting, and waiting . . . Note: These three albums through Warner Music are all in the third vinyl box out now and also start the second CD box which includes Before the Dawn -- her 2016 triple live CD recorded in 2014 at the Hammersmith Apollo in London, her first live appearances for 35 years – and a double disc of 12'' mixes, B-side and covers. Elsewhere will cover these remaining albums shortly. 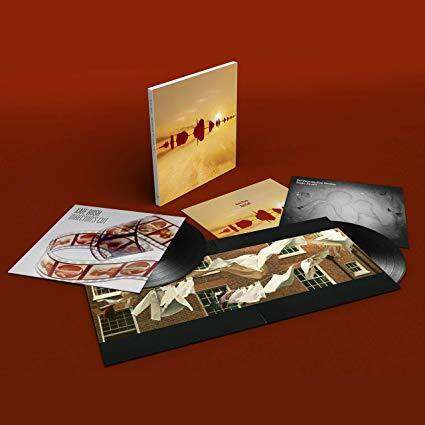 To read Elsewhere's review of the first vinyl set go to Part One here, and for the second to Part Two here.